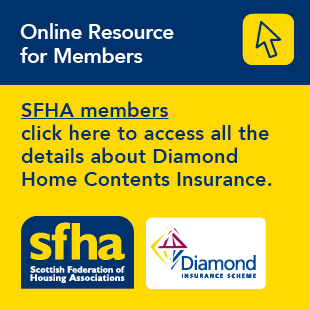 Fife Housing Association Alliance, the collaborative partnership between the four Fife based Associations (Fife, Glen, Kingdom and Ore Valley), has devised an in-house CPD training programme for staff to increase their knowledge of services and projects which support sustainable tenancies and, in turn, benefit the tenants. The latest event was a best practice visit to Furniture Plus, the Fife based social enterprise which provides quality, affordable furniture and household items to people in Fife, particularly those most in need. “Our main aim is to combat poverty and social exclusion, through our core business activity of re-using, recycling and repairing furniture and other household goods that may otherwise have gone to landfill. Bill also thanked Michael Hui, Energy Advisor at Kingdom, for providing useful tips on how tenants can manage their energy costs, and Eric Wemyss from the Castle Furniture Project, for giving a presentation on its various successful projects such as reconditioned domestic appliance, a domestic appliance repair service, portable appliance testing and other furniture recycling. Future events are being planned as part of the CPD programme, including: digital inclusion; debt and financial inclusion; household bills management; healthy eating; health and wellbeing. Pictured: Fife Alliance members during their visit to social enterprise Furniture Plus.